The idea is totally absurd and is based on the 1998 film. 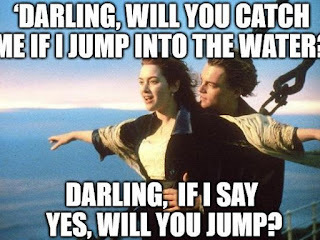 According to its creators Jack, a character who was played by Leonardo DiCaprio, refers to things and places that did not exist when the tragedy occurred, such as Lake Wissota and Santa Monica Pier, that traveled in time to save Rose whose suicide had delayed the journey of the ship, that is, traveled to the Titanic to sink. Total madness!